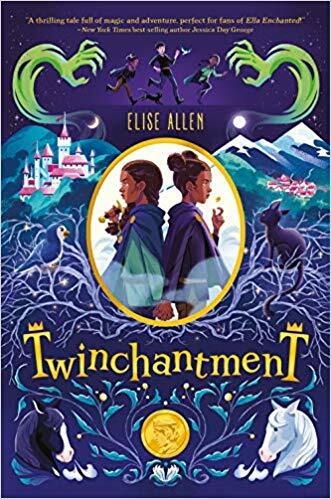 Happy Book Birthday to TWINCHANTMENT, by Elise Allen! '"Let's not wait until a better way comes along--let's make a better way come along. Our Ascension Ceremony's next week, right? Once it's over, and we're officially in line for the throne, let's just tell the truth!" This magical adventure features princess twins who must pretend that they are one person. What an incredible hook! 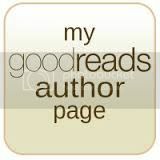 I found this story engaging, fast-paced, intriguing and filled with mystery. The sisters perfectly balance each other out in a way that's heartwarming and hilarious. 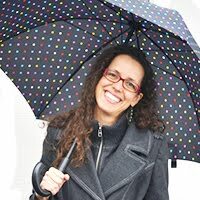 Themes of loss, loyalty, friendship, teamwork, trust, illness, death, and grief will get readers thinking and talking. I can't wait to find out what happens as the story continues in book two! the forest-temperature drinks at home." 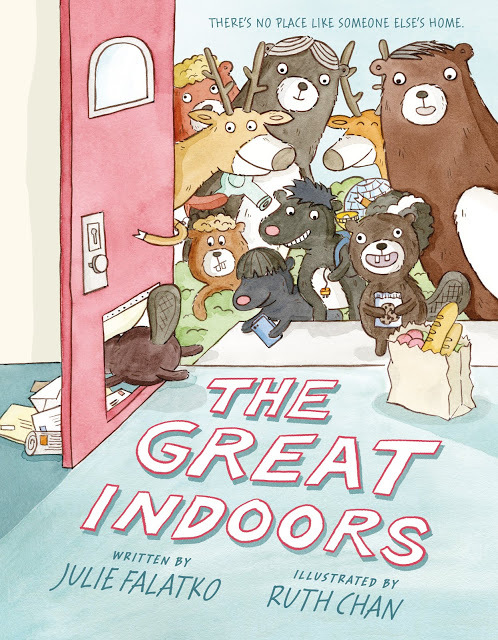 THE GREAT INDOORS, by Julie Falatko and Ruth Chan is a clever and witty, as usual. Julie Falatko creates a whimsical world where animals take their vacation in someone's house. Filled with the hulla-baloo of animals in a house, the adventures don't stop until the very last page when you discover....well, I won't ruin the surprise. Such a fun read aloud, and good book for laughs. Bare bear... "Stop right there! You should be wearing underwear!!!" Happy Book Birthday to UNDEREWEAR! 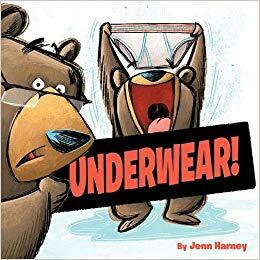 Jenn Harney's rhyming text and expressive illustrations make this the kind of story that readers will want to read aloud over and over again. 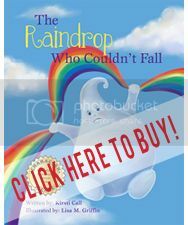 It starts with a bang and continues to make readers laugh with hilarious illustrations and clever text. Lawrence studied the leaves as he gathered them--the yellow one with rounded edges. 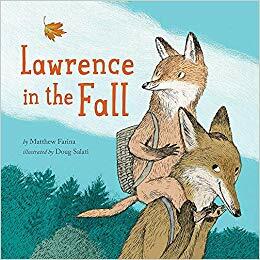 LAWRENCE IN THE FALL, by Matthew Farin and Doug Salati is a beautiful story about a little fox who needs to show his collection at school. But, he doesn't have a collection! Little Fox forages the forest with Papa, eventually finding a beautiful collection of his own. Expressive illustrations combine with lyrical text to create the kind of story that will evoke discussion about nature, trees, collections, getting lost, and show and tell.